Entry by Exceel on Tue May 17 09:46:51 2011. 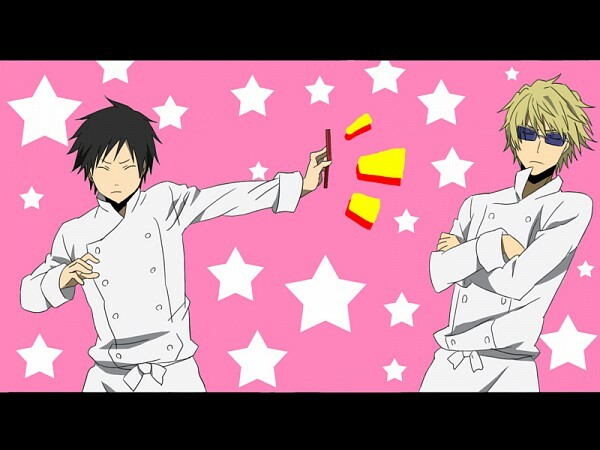 All these chef pictures.. Is this some sort of mini episode or comic? If you can't tell already by looking at the tags, this is a parody of the anime Working! !, which was pretty popular for a while. eh? link to the parody? this picture makes them look like they're getting along so well..
and now i wanna see the bishies in Woking!! again.